You are at:Home»RECAPS»BRAVO TV WEEKLY RECAPS»RHOA, RHOBH & Pump Rules»Bravo Comedic Recap EP 9: Taylors Back! RHOA, RHOBH & Vanderpump Rules! Bravo Comedic Recap EP 9: Taylors Back! RHOA, RHOBH & Vanderpump Rules! you missed, plus bring you our take on things, the latest Bravo gossip and let you know what’s being said on the Bravo blogs and Watch What Happens Live. This show is live every Tuesday at 3:10PM EST on our live shows page. So come join in on the fun every week live to ask questions during the show and hang out with other fans. Make sure you subscribe so you don’t miss anything! Be sure to use the chapter markers in the YouTube video description for easy skipping around if you don’t have time to watch it all right away. Just click the topics in the red flags at the bottom to skip to the topic you want… or the more specific topics in the links from the description below the video. You can also get our shows to go on iTunes or any mobile device HERE. You can get just the audio or video versions of our shows there. Plus now I separated all the shows into individual feeds. Just subscribe to the one you want or the main feeds with all our shows! A 5 STAR rating and review would be nice too! media! Getting people hooked and liking and subscribing/joining to our Twitter, Facebook, and YouTube accounts really helps! You can also make a donation if you really want. All the social media links, info, contests and prizes are HERE. Previous ArticleBravo Comedic Recap EP 8: Live From NYC To Talk RHOA, RHOBH & Vanderpump Rules! 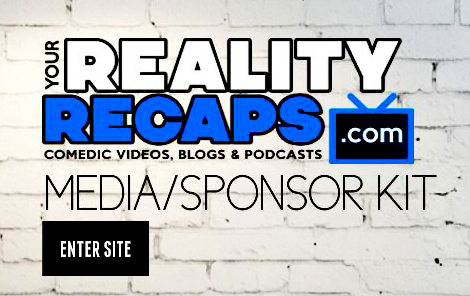 Next Article Bravo Comedic Recap EP 10: Weely RHOA, RHOBH & Vanderpump Rules!